FOX SPORTS FLORIDA: How is the adjustment period going in Miami? Do you feel like you're starting to get on the same page with Wade and the rest of the teammates? GORAN DRAGIC: Oh yeah, definitely. Every game is better, and the last few games we've played well. Of course, we still need to correct a couple of things, but now I'm more comfortable with all of this whole situation with our actions, with defensive schemes, and it's much easier to play. FSF: Your family stayed behind in Phoenix initially. Was that a factor in getting used to Miami and the team? DRAGIC: I think it was good that I came here early without my wife and my son -- don't take it wrong -- I just tried to be focused around basketball with the new team and teammates and tried to adjust as fast as possible. Of course, I was missing them a lot, and now that I'm already settled in and I know the plays and everything, then now it's the perfect timing. They got in last night, and I was really happy. Especially after that win (against the Cleveland Cavaliers on Tuesday), it was a perfect day for me last night. FSF: Heat fans haven't had much of a chance to see your brother Zoran play, but what can he bring to the team? DRAGIC: He's really crafty. He's a really competitive guy. He's known as a defensive player. He really corrected his shot, so he can shoot now from outside. He's a hustle player. With 50/50 balls, I don't know how but he always gets that ball. I think that was his thing back in Europe -- he was an energy guy. He can score, he can defend. FSF: Have you had a chance to get to know the city a little on your off days? DRAGIC: No, just all basketball. I mean, of course I've been out to eat at some restaurants, and some areas, I already know them before when we played here. Probably right now it's really tough because every other day is a game so I'm just trying to rest my body and trying to get ready for a game. We're going to have a lot of time to see the city after the season with me and my family. FSF: Why was Miami one of your preferred destinations, and now that you're here, has it been what you imagined it would be? DRAGIC: Oh yeah, definitely because I know they always want to win. They are a championship team, and in the last four years they made four appearances in the Finals. Of course, everybody wants to play for this kind of team. With coach (Erik) Spoelstra and Pat Riley, those are the names that they mean something in basketball. Of course, every player wants to be a part of this, and I'm really happy that I'm here and hopefully I'm staying here. We'll see, but so far, everything has been amazing and I feel good. FSF: Have you been able to get to know Riley since your arrival? DRAGIC: Oh yeah, the first day that I came in he called me to his office. He had a great speech. I had another meeting with him in the office like one week ago, and to listen to him, I get goosebumps because he has nine rings and he has a lot of experience. Of course, I want to learn from him, and I was excited to come here. The main two reasons were (Chris) Bosh and Wade, they're two of the best players in this league, and I feel that with those two guys we can do something special. Unfortunately with the situation with Chris it's like this, but I'm hoping for next year. 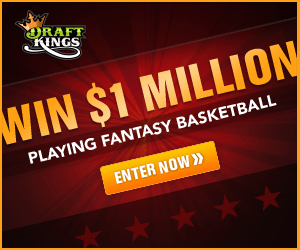 FSF: How important is it for the Heat to make the playoffs? DRAGIC: I think if we can make the playoffs, everything is possible. We demonstrated that we can play with everybody. As long as we're focused enough and we defend, we can beat anybody. In the playoffs with seven games, that's tough. I think this season a lot of players in the past that didn't have opportunities to play, they've demonstrated that they can be a part of this team and they can grow as players. Then for next season when we can get healthy and get everybody back, that means a lot, too, because then basically you already have established bench players that can develop their games even higher. The bench is really important in the NBA because if you have a good bench, then you can make that playoff push even harder. FSF: How different is the Heat's system and culture compared with other teams you've been on? DRAGIC: It's a huge difference. For one year I was in Houston and five years in Phoenix, and both of those teams are up-tempo teams that try to push the ball and try to score more points then the other team. But here there's more emphasis on defense, and of course now that I'm here, coach wants me to push the ball. So I think that's a great combination, first defensively and then if you can get stops, you can get easy baskets. So far, I think it's working out good. FSF: The ball is in your hands and you're attacking the basket regularly, is this what you envisioned before you came? 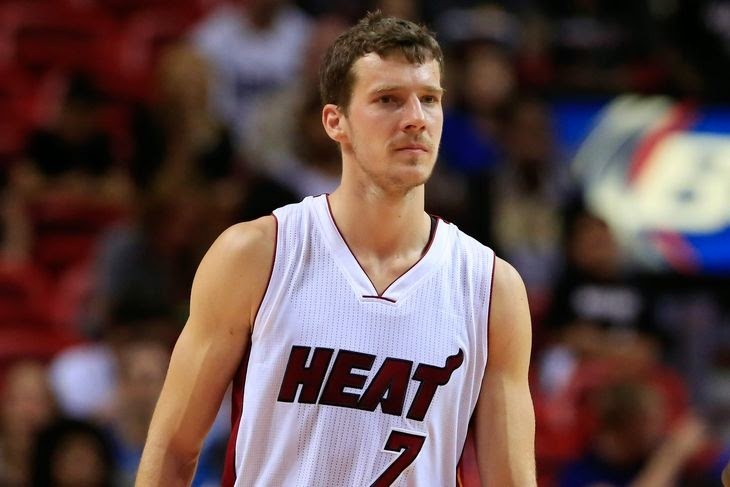 DRAGIC: Definitely, my whole life I've played as a point guard. I've tried to get in the paint, and I've tried to develop for others. I had that opportunity for the first five years. This year, the situation was a little bit different in Phoenix but that's why I chose this option because that's the way how I know to play basketball. I feel happy like that and, especially, I want to be in this kind of situation. I think this is a good fit for me.